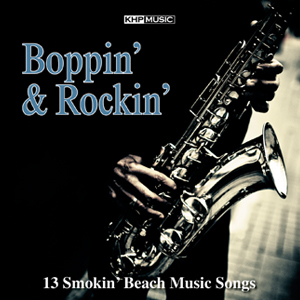 To simply say that KHP Music has released 13 Smokin’ tunes is an understatement. These songs aren’t just smokin,’ they’re on fire. Straight out of the package, the golden voice of Big John sets the stage for what’s to come as four national acts join today’s hottest artists including a brand spankin’ new song from King Tyrone and the Graveyard Ramblers. And if that’s not enough, newcomers (which you’ll soon discover they’ve been around for a while) the Carolina Soul Band will keep the dance floor hoppin’ while Coastline’s Albert Rogers takes an old John Fogerty song to new heights. Palmetto Groove wraps up the package with a groovin’ little tune that will surely keep you Boppin’ & Rockin’ right back to track one to keep the party going.